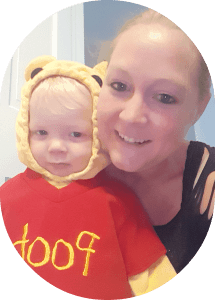 As a mom you are super busy all of the time with a list a mile long of things to do causing your head to spin in a thousand directions and forget things, so how in all the mommy do lists can you have a organized mom blog with all the free time that you seem to have so much of? You are not alone most of us mommy’s have the same problem and know just how you feel! 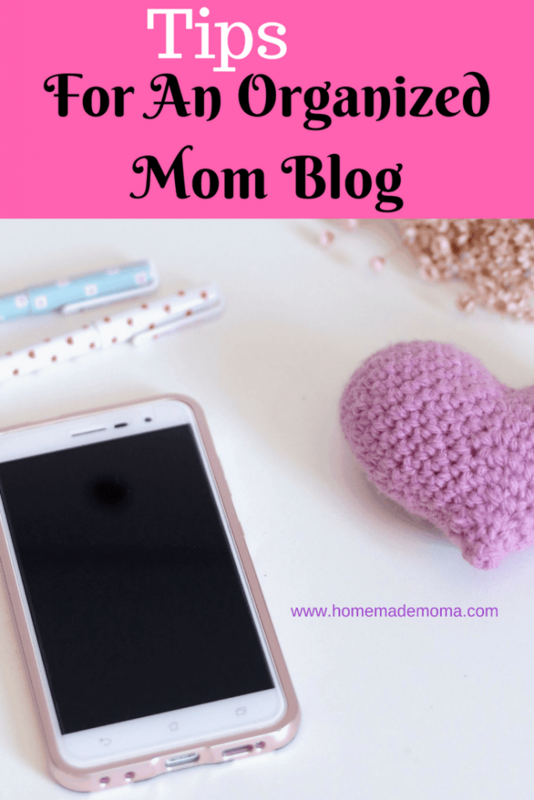 I know it seems hard but I will show you how to have an organized mom blog with a few simple steps so hang on mamma you can do this! In order to have an organized mom blog you also have to organize your mommy do list and to do this you need a plan for the week that makes your life simpler and more manageable giving you time for that mommy blog that you have been wanting to work on and just haven’t been able to find the time. How do you find the time well I have a resource library with tons of planners just for you so that you can find the time to get to your blog. For free access just sign up on the form below and print off as many as you need whenever you want. Fill in your weekly meal plan and buy groceries accordingly, create your to do list for the day and week as well as a cleaning schedule so that you don’t forget a thing. Now to plan out the blog schedule. Look at all of your lists of things to do and find an hour somewhere in the day to work, it could be early in the morning or late at night but make it a priority to find some time. The only way to have an organized mom blog is to write down your goals for the week and things that are a priority to get done. I have a planner for your blog as well, write down your daily activities that you need to do on your blog like pin to Pinterest and find a good time even in the middle of the day while the kids are eating lunch or breakfast and pin away. This leaves time open to write blog posts in the evening and create Pinable images in the morning or vice versa. I work on my blog early in the morning and in the afternoon during nap time, if nap time doesn’t happen that day I will sacrifice some sleep to get things done in the evening. Sometimes I will work all 3 time slots depending on what I am working on. Write down your goal for the week then make a schedule for your blog that helps you reach that goal and keep it going every week. Sounds simple and it really is, no reason to over complicate things when mommy life is busy enough! Make a day during the week to write 2 or 3 blog posts, edit them the next day and create images you can then schedule those posts ahead of time so you always have posts going up on your blog and if you need a weeks break your blog won’t suffer. Use Evernote on your phone for any ideas on blog posts that you may have and also download WordPress on your phone, yes WordPress can now go anywhere with you and you can work on your blog on the go!! Awesome isn’t it!!! 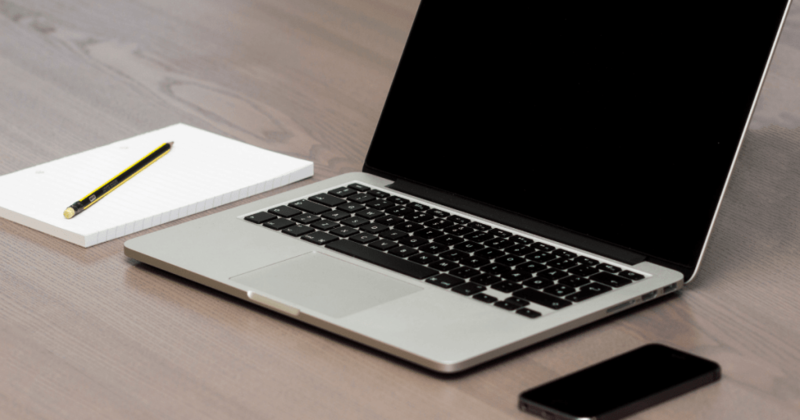 Once you establish a schedule for blogging that works for you stay consistent! Keep it going even when you don’t feel like doing anything on a certain day, don’t rob yourself or others of the opportunity to reach toward that awesome dream that you have. Each step is one step closer so every little thing matters no matter how small it may be. This is how you have an organized mom blog that works for you. The one thing that separates the blogger that makes it and the one that doesn’t is staying Consistent and having a plan without these your blog will fail and you will never know what could have been. 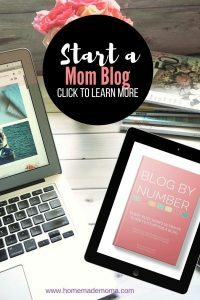 Sure it may take you a year to do well or it could take 6 months that all depends on you and setting a consistent blogging schedule so that you have an organized mom blog that is going some where every day. Simplify by working smarter not harder, educate yourself on what works and work on the smarter side, don’t churn out tons of content that is just mediocre that will not get you traffic or page views! Make every post something you are proud to publish and keep making them like that don’t cut corners your readers deserves quality over quantity. 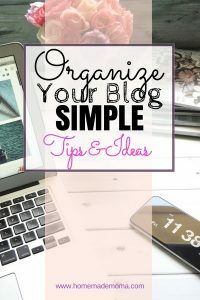 By having an organized blog you will be sure to meet your goals and avoid being pulled in every direction just spinning your wheels and getting no where. So take the time to get a planner and write down all of your mommy do list then stick to it and you will see a dramatic change in how you feel and how things get done. So stop being overwhelmed momma and go out there and get a plan to fix it and get going on those awesome blogging dreams of yours. The only one stopping you is yourself! Pin this post to Pinterest!! !